What managers and employees can do – to enhance their own, and their coworkers’ happiness? 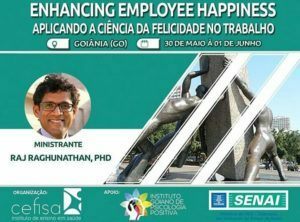 At the end of the 3-day workshop, attendees will have a personalized plan for enhancing not just their own happiness in the workplace, but also the happiness of their coworkers. For the day-wise breakup of topics, other information and to register, click here.